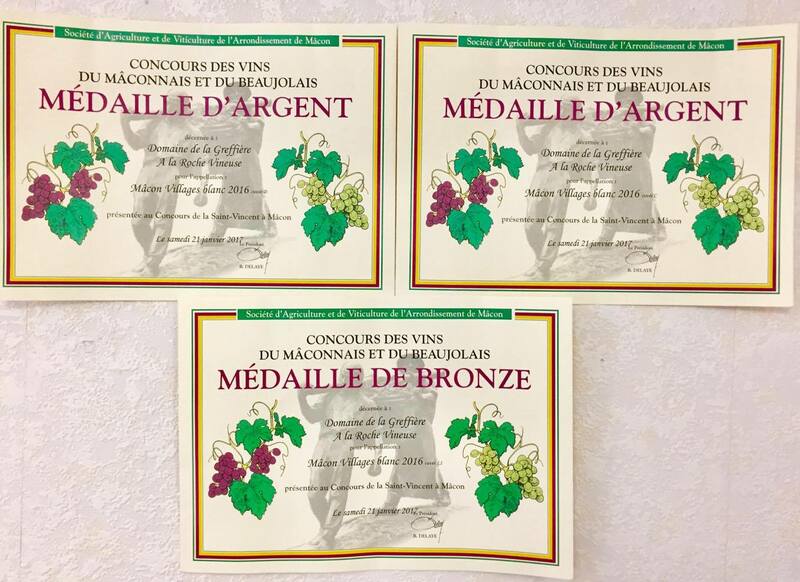 Thanks to the contest of Saint-Vincent in Mâcon, our emblematic wine “Mâcon La Roche Vineuse 2016” has received three medals, silver and bronze. You can discover our wines in the cellar of Château de la Greffière, in La Roche Vineuse. We are open every days (sundays and special days on reservation) : 9:00 12:00 – 14:00 18:00.